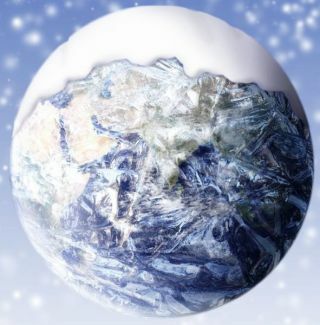 At various times in Earth’s history, our planet has been a “snowball”. At the 2012 Astrobiology Science Conference, Astrobiology Magazine hosted a plenary session called "Expanding the Habitable Zone: The Hunt for Exoplanets Now and Into the Future." The session featured a panel of exoplanet hunters and thinkers, who held a lively discussion about some of the most important issues facing the search for and understanding of alien worlds orbiting distant stars. Hunting for Alien Worlds: A Cosmic Debate (Part 1) — In part one of this series, the panelists discussed their specialties and explained their passion for learning about alien worlds. Hunting for Alien Worlds (Part 2): Science of Exoplanet Habitability — A panel of exoplanet scientists held a lively discussion about some of the most important issues facing the search for and understanding of planets orbiting far-distant stars. Part two of the series explores exoplanet science today. Hunting for Alien Worlds (Part 3): The Habitability Debate — In this portion of the 10-part debate, a group of exoplanet scientists come up against the limits of figuring out whether an alien world has life. Hunting for Alien Worlds (Part 4): 'Snowball Earth' & Earth-Like Planets — Exoplanet scientists discuss Earth's past as a way of finding more Earth-like planets in the future. Hunting for Alien Worlds (Part 5): The Future of Exoplanet Science — Scientists discuss what the search for alien planets should look like in the future. Hunting for Alien Worlds (Part 6): Exoplanet Missions in the Future — In part six of this 10 part series, the panelists discuss the exciting possibilities of future missions that could uncover exoplanets. Hunting for Alien Worlds (Part 7): Moving Future Missions Forward — A panel of exoplanet scientists discusses missions to discover and characterize worlds orbiting distant stars. Hunting for Alien Worlds (Part 8): The Danger of Crying Wolf About 'Earth Twins' — The panelists debate whether the many press releases about the possible habitability of newfound planets risk "crying wolf". Follow SPACE.com on Twitter, Facebook and Google+.